Nights:	Thursday - Sunday 10:30pm - 4:30am. After a successful 10-year run, Tryst nightclub closed its doors on November 7, 2015. In its place is one of Las Vegas’ newest nightlife concepts – Intrigue. Set to open on April 28, 2016, Intrigue will take over the 14,000 square foot nightclub. Before the opening, the space will undergo a total revamp with a new glass-enclosed patio, new lighting and sound system from John Lyons Systems, and an exclusive 1,200 square foot private club inside the club where all social media is banned. Intrigue will primarily play contemporary party music consisting of various genres, but will include current hits. 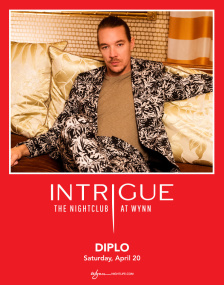 Located at the Wynn Hotel in Las Vegas, Intrigue will offer many of the perks found at other upscale Vegas hotels, including bottle and table services, VIP entry, guest lists, pre-sale tickets, and industry nights for locals. According to local insiders, Wynn Resorts plans to branch off from the existing nightclub model to offer something completely fresh and different than what is currently available. Instead of focusing on big-name headlining DJs like many of the local clubs, Intrigue will put their attention on the overall atmosphere of the club to create a relaxing and fun space to drink, dance, and socialize. 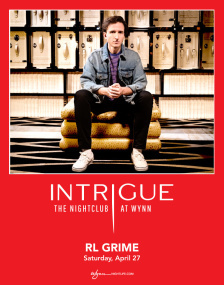 Intrigue will be able to accommodate up to 1,200 patrons in its spacious walls, and will feature a high-energy dance environment and an exclusive private club inside the larger club that is invite only. In addition to its nightclub, Intrigue is also set to open a cocktail lounge, restaurant, and bar. You can also expect the nightclub to book some top artists, especially during the time of its opening. However, Intrigue plans to shift away from the popular EDM scene and target an audience who prefers an alternative nightlife experience. Don’t miss out on the opportunity to experience this new nightlife spot for yourself come April 2016. Intrigue nightclub opened in spring of 2016 and since has become one of the city’s hottest club scenes. The nightclub took over Tryst Nightclub, which closed in late 2015 after a decade-long run. 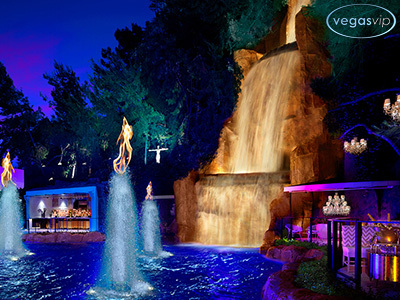 Opening date was set to April 28th, 2016, which also marked Wynn Las Vegas’ 11th anniversary. This newest nightclub concept aimed to be different then it competition, offering perks like a social media-free zone in a private club within the larger club. The 14,000 square foot space also offered the best in lighting and sound equipment, creating a high-energy atmosphere where both locals and tourists flock. Intrigue is able to accommodate up to 1,200 patrons in its massive club. This includes its private social media-free zone, which provides guests complete privacy as no cell phones or other devices are allowed. However, it’s not easy getting in this private area of the club. Entry requires the thumbs up of a group of club executives, and no amount of money or celebrity-status will get you in without the proper permissions. What else makes Intrigue nightclub special is the incredible waterfall display. The 94-foot waterfall cascades down a man-made “mountain” then splashes the reclaimed desert water into a 54-degree pond that has been accented by fire flaming out of the fountains. Guests at Intrigue nightclub can enjoy contemporary party music that crosses over various genres, creating a high-energy party environment. The venue includes both inside and outside areas to allow guests to spread out and relax. The new glass enclosed patio offers patrons year-round views of the awe-inspiring waterfall, as well as the amazing pyrotechnics show. Next to the waterfall is a full bar that has been literally jackhammered into the side of the “mountain”. The bar area features dozens of gorgeous chandeliers that add a whimsical feel to the space. At the bar, party-goers can enjoy a variety of drinks, including Dom Perignon, Japanese whiskeys, and jet-chilled nitrogen-infused cocktails. Like all great Las Vegas nightclubs, Intrigue provides patrons the opportunity to enjoy their night in the comfort of their own private booth. There are 60 booths where table service is sought, ranging from $1,000 to $10,000. Some booths are larger than others, seating dozens of people in a horseshoe-shaped gold-and-cream themed sitting area. If you prefer even more privacy, the club-within-the-club holds as many as 85 VIPs and no expense has been spared to create a luxurious space. In the social media-free zone, the walls are lined with bookcase liquor lockers constructed out of Louis Vuitton trunks. Intrigue nightclub also offers other features and amenities to indulge in, from the famous “selfie wall” to the choreographed pole dancers. The club also holds 32 pivoting projectors that splash words and images on the surrounding walls. The incredible sound system (which plays 110 decibels inside and 86 dBs outside) was created by industry legend John Lyons. Under the golden-vinyl booths (which you can stand on) includes purse drawers for convenience. 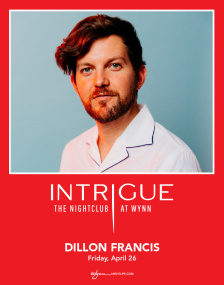 Intrigue aims to offer more intimacy, privacy and exclusively than any other Las Vegas club before it. In addition, the club is set to host some of the biggest celebrities and DJs, including DJ Skrillex and Dillon Francis. To enter the club, you must descend a staircase and enter a hallway featuring white walls with projected words and images on them. Therefore, the entryway may have a different look every time you visit. The hallway opens up into the main room of the club, which features gorgeous décor and elegant chandeliers. 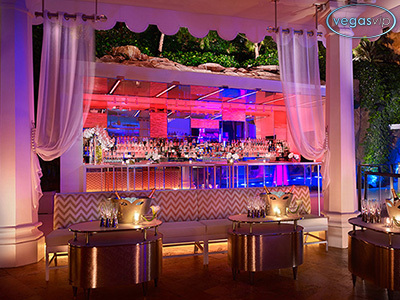 The booths are tiered to provide optimal views of the dance floor and DJ, and two bars can be found on either side of the room. 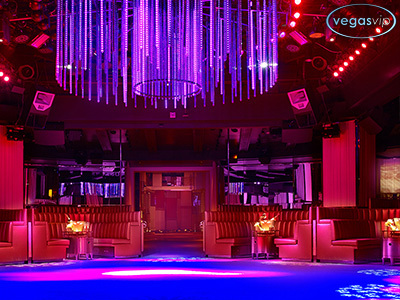 If you’re in search of a nightclub focused solely on luxury and five-star services, head on over to Intrigue nightclub.